A friend in Allegany has a wonderful farm and foothill property with a beautiful hiking loop through many habitats including corn fields, meadows, woods and pasture -a birders paradise. 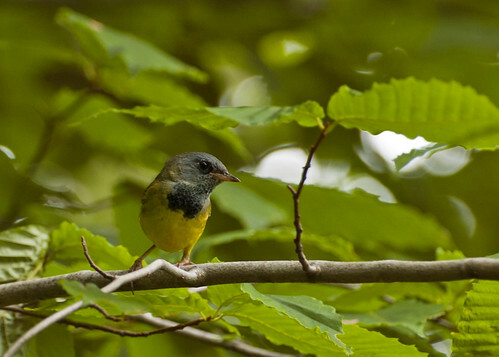 On a recent hike I came across two warblers I don’t often see – Mourning and Hooded Warblers, and both were obviously breeding in the area. 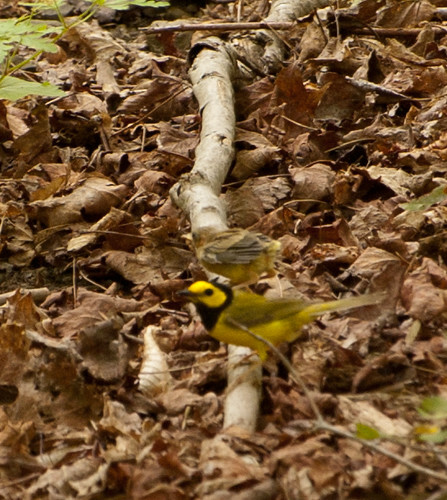 This hooded warbler was pretty unhappy with me as the hiking trail wandered through its territory. It complained loudly when I took a couple quick pictures. It wasn’t until I got the photo on the computer that I saw the fledgling on the log behind the male parent. Though obviously not a warbler, this was a nice sighting. 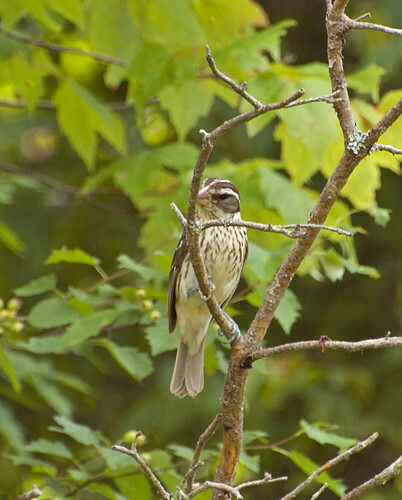 I don’t see the female grosbeak too often, but this bird provided some nice looks along a meadow’s edge. This entry was posted on 12 July 2012 by patacoate. 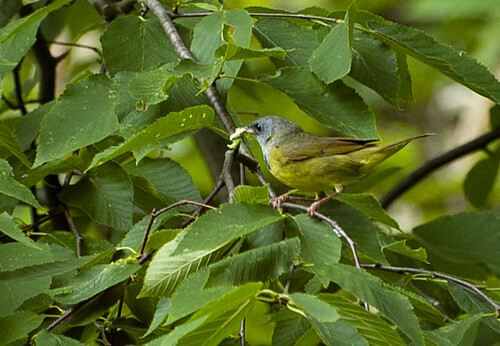 It was filed under iPhone and was tagged with female rose-breasted grosbeak, hooded warbler, mourning warbler.